For readers of spy thrillers by authors like Daniel Silva, Brad Thor, and Lee Child, Tom Wood, and Gregg Hurwitz, the Alex Berenson books are a great addition to their bookshelves. They feature John Wells, another unlikely hero who has been to hell and back and is still around to talk about it. I have only recently discovered this author after reading everything else I knew in this genre and craving more. A friend on Goodreads recommended picking up the Alex Berenson books, and I haven’t looked back. I actually binge-read all this (at the time) 11 published John Wells books in one month. Alex Berenson (website) was born in 1973 in New York, and he grew up in grew up in Englewood, NJ. After attending the Yale University, he graduated in 1994 with a BA in history and economics. The same year, he went to work at the Denver Post as a business reporter. He worked at the newspaper for two years posting over 500 articles during his time there. In 1996, he moved to work for a financial website, The Street, where he remained until 1999 when he joined The New York Times as a business investigative reporter. Over the years, as a reporter, he covered the occupation of Iraq, as well as the use of dangerous drugs in the pharmaceutical and health-care industries. He also covered in-depth the Bernard Madoff Ponzi scheme scandal. While working for The Times, he started writing his spy thriller series featuring John Wells, a CIA agent who is involved in all sorts of crazy and dangerous adventures. After leaving journalism behind, in 2010, Alex Berenson focused on working as a full-time author, continuing his John Wells series and joining the ranks of authors like Tom Woods, Daniel Silva, Tom Clancy and David Baldacci. 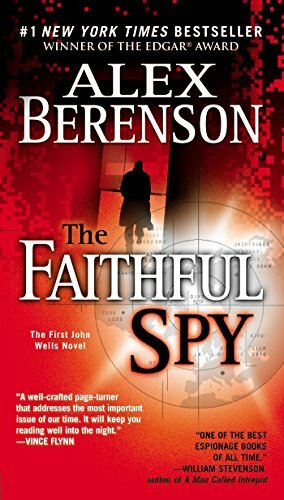 The first book in the series, The Faithful Spy, was published in 2006. In 2007 the book got an Edgar Award for best first novel. It introduces us to John Wells, a spy who might or might not be a double agent for the extremists. John is a Montana-born hero who infiltrated Al Qaeda sometimes at the end of the 1990s. Everyone seems to have forgotten about him, and many agents even believed that he switched sides, especially since he didn’t warn the American Intelligence that 9/11 was about to happen. Of course, the reader doesn’t get many to be supportive of John either, since we are bombarded with his thoughts of actually having become a Muslim, of him praying several times a day to the Koran, and embracing their way of life. So did he really turn to the dark side? When he returns to the US as an agent for the terrorists, waiting for their instruction to do harm to the US, not many people still believe in him. The only exception is Jennifer Exley, his handler, who still believes he has not turned. At the end, when all comes together and John actually saves the day (and the country) while infected with a deadly plague, we all realize that he is, in fact, playing for the right side. 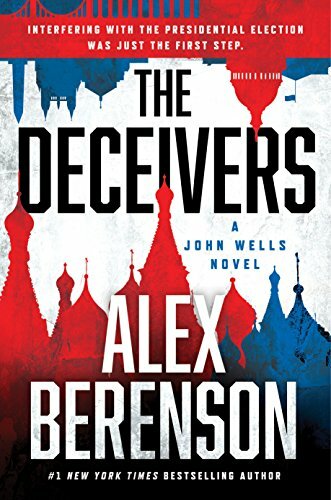 The John Wells series is currently at book #12, The Deceivers, published in 2018. By now, John Wells is an ex-CIA operative who is called on crucial cases that only he can solve. There was an attack in Dallas, following which John was called to the White House. He is reluctant to go since he is enjoying his retirement too much with his daughter, but when duty calls, he has to go. And now he is being sent to Colombia where things go wrong as soon as his plane touches down. As usual, the action starts right from the start and never really lets go. The Alex Berenson books needed a lot of research, which the author did. He was stationed for about five months in Iraq when he covered the war in 2003 and 2004, and that experience helped him shape the characters and situations in the books better. Also, he uses a lot of books, journals and online sources to prepare for his next book. In addition, he interviews many relevant people, including former CIA case officers, soldiers, State Department and NGO types. Not to mention that the author also travels to locations that he will feature in his books in order to get the feel of the place, scenes and the atmosphere of the places. Currently, the author lives in New York where he works on his next book. If you love spy thrillers, reading the Alex Berenson books in order will feel really rewarding. The main character is complex, the writing language is very accessible and straightforward, and the plot is as action-packed as it can be. The books in publication order also the same as the ones in chronological order, so they can (and should) be read from The Faithful Spy to The Deceivers straight up. Nice, I love all the authors you mentioned. Am looking forward to The Deceivers.